The easiest way to increase subscribers, drive traffic to your other channels and build email lists to leverage for future marketing. Want to get your content in front of your most loyal fans, and reach new ones? Give away MP3s, ebooks, coupons, recipes or other downloadable content and grow your email list at the same time. Start building your own YouTube giveaway. It’s free. Sign up in seconds. Cancel anytime. Get people excited to try your products or services by giving them a chance to win something from your business. At the same time, give them the incentive to purchase by sending them a discount code via autoresponder as soon as they enter. Start building your own YouTube Giveaway and Instant Discount. 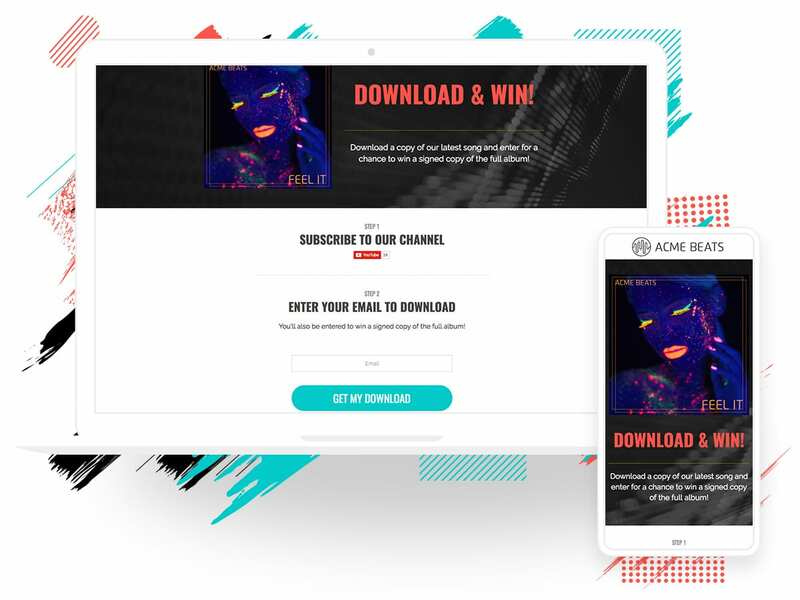 Get more subscriber engagement and collect user-generated content with an easy-to-share voting contest. Start building your own UGC and Vote Contest. People who subscribe to a brand’s YouTube channel are more likely to become customers. 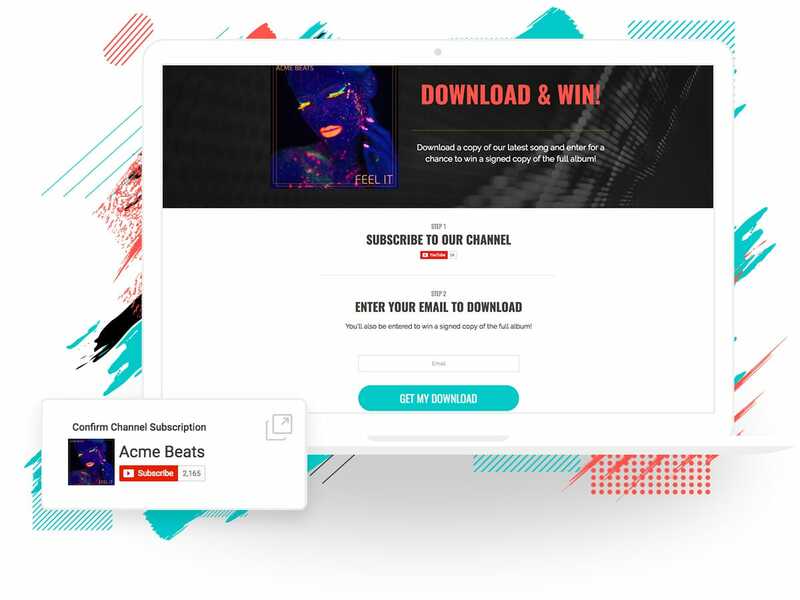 And the best ways to gain new subscribers include offering people the chance to win a prize, giving away downloadable content, like a song, and offering a coupon or discount. ShortStack makes it easy to build out the important description section of your YouTube channel. 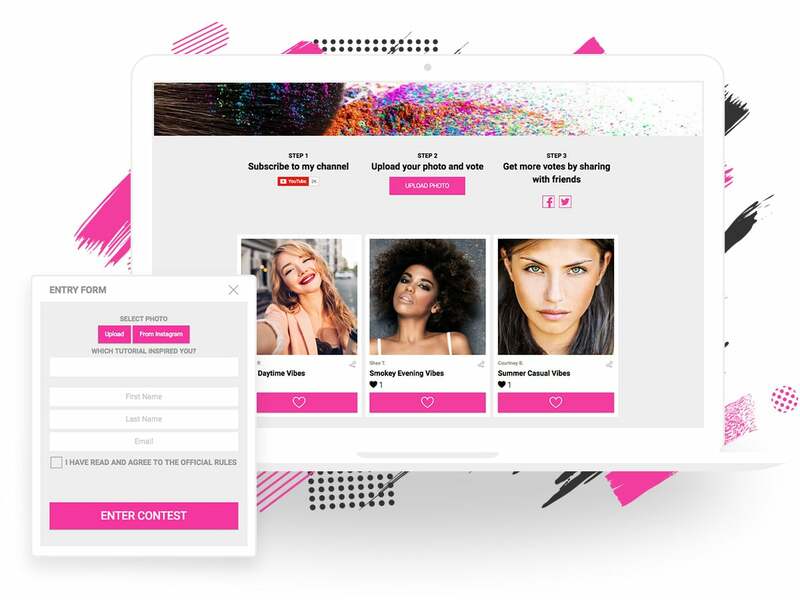 Use our premade campaign templates to create engaging voting contests, collect UGC and even build shoppable galleries. Just add links to these campaigns to your channel and watch the leads roll in. 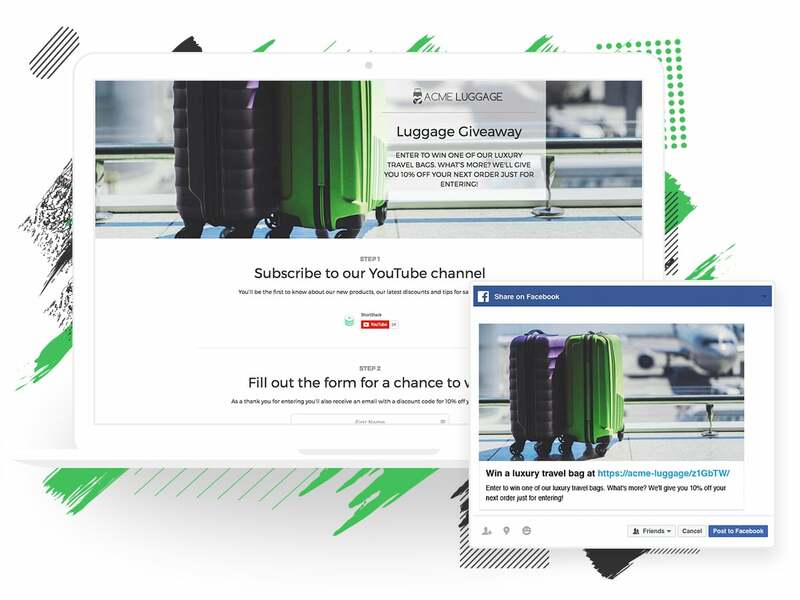 More than 400,000 businesses, brands and agencies use ShortStack to create contests, giveaways, and other marketing campaigns for YouTube, Facebook, Instagram, Twitter and beyond.